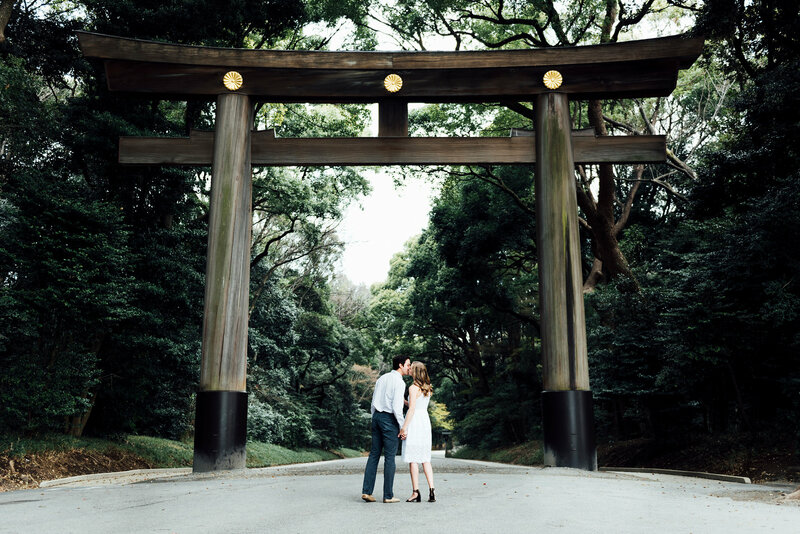 We loved our month in Japan, and came away from the experience feeling especially thankful for many things that happened during our a stay in Tokyo. We were thankful to be in Tokyo for Sakura. We didn’t realize it when we planned our trip, but our time in Tokyo perfectly overlapped with Japan’s sakura (cherry blossom) season. This 1-2 week period occurs once per year, and it’s a celebration of spring’s return with fluffy pink blossoms appearing throughout Japan’s cities and riverscapes. 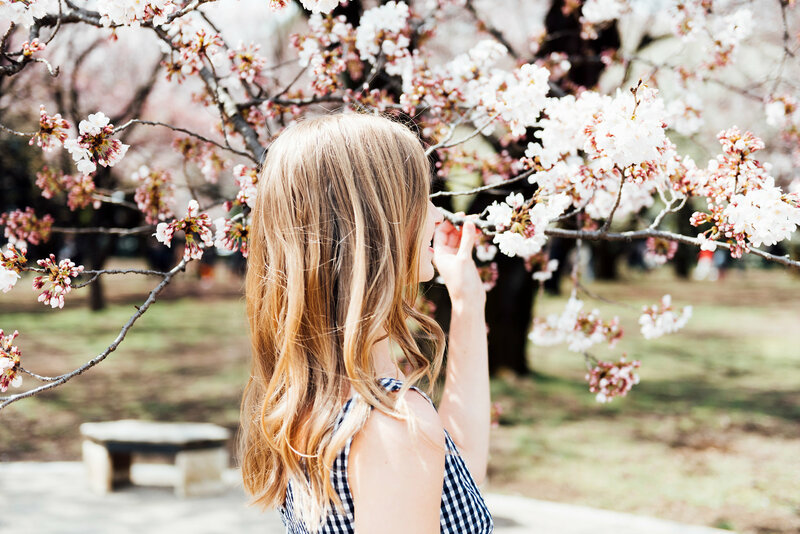 Locals take off work early to picnic under the trees (social events called “hanami”), and people travel from across the world for a chance to see the famed flowers. 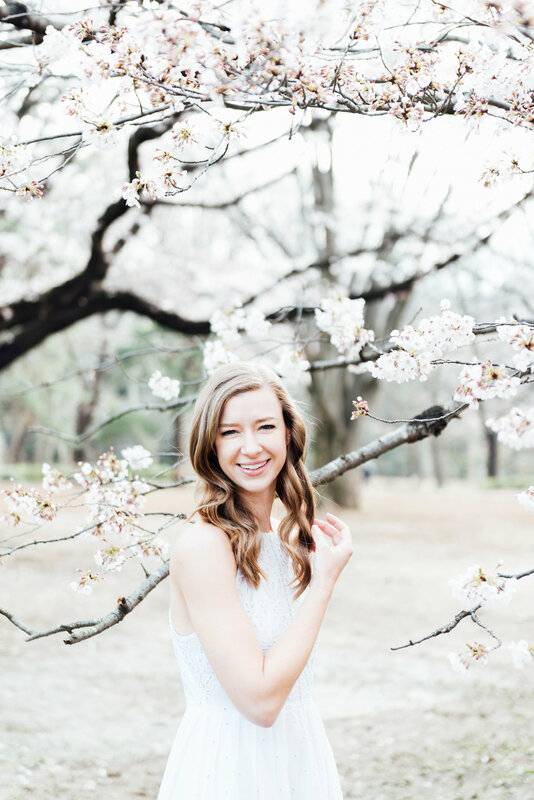 Just as we didn’t plan our sakura overlap, we didn’t realize it, but one of our favorite people was flying in from Paris. We were thankful to connect with good friends. 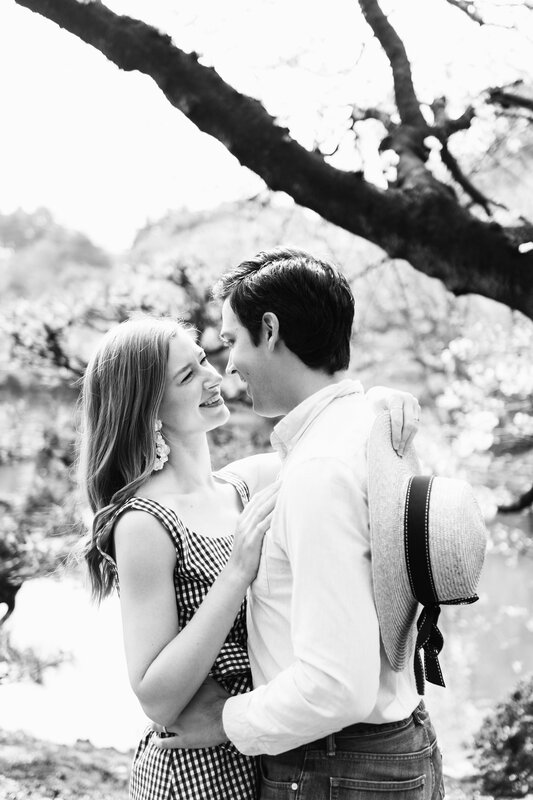 While in Argentina we discovered that Katie Mitchell and her boyfriend would be in Japan for sakura as well. 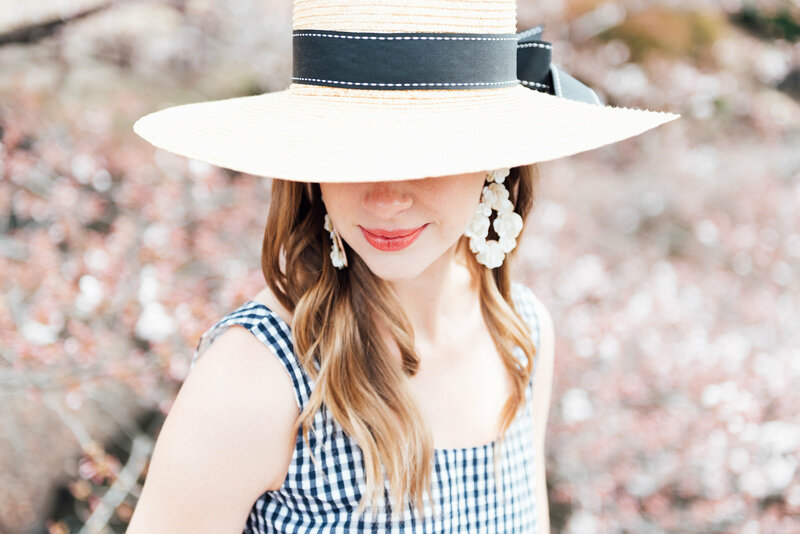 We both love Katie’s photography, and she’s helped us capture memories of important times in our lives, from our first wedding anniversary in Paris to our time to San Francisco. We’ve stayed in touch beyond the photoshoots, and we were able to explore Tokyo together. It was so much fun! 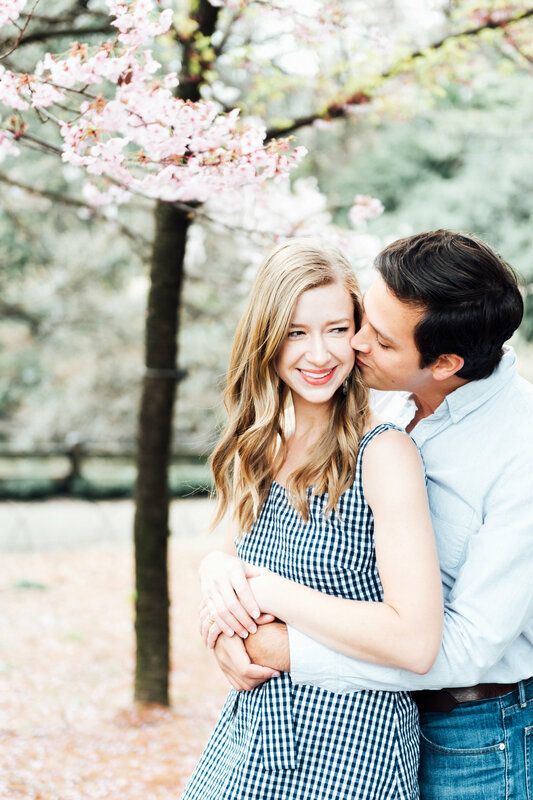 During one of our walks through Shinjuku Gyoen Park, Katie captured a few small moments for us. It’s always so special to have photos of us together, and these images are our favorite souvenir from our time in Japan. We’re thankful how traveling has brought us closer together. When we started this year-long trip, both David and I were unsure and a little anxious about how our relationship would weather constant travel and being together 24/7. Reflecting back on the first 3 months of our trip, experiencing everything together has only brought us closer. I know spending 24 hours a day with someone would drive many people crazy, but it works for us. We think it’s partly attributed to one of our goals for this trip, in that we hope to create thousands of strands of shared experiences forming a strong and unique bond as a foundation for the rest of our married lives. Thanks for following along with our journey, and here’s to the rest of 2017! Thank you Katie Mitchell Photography for these beautiful photos!